Workshops are two-hour, hands-on sessions we were are expected to work in teams to solve problems using AWS. Workshops organized attendees into small groups and provide scenarios to encourage interaction, giving attendees the opportunity to learn from and teach each other. Each workshop started with a 10–15-minute lecture by the main speaker, and the rest of the time was spent working as a group. There were additional AWS experts in the room to make sure every group gets the assistance they need. Come prepared with your laptop and willingness to learn! We will provide any AWS credits you may need. DevSecOps is the premise that everyone in the software development lifecycle is responsible for security. DevSecOps aims to embed security in every part of the development process. 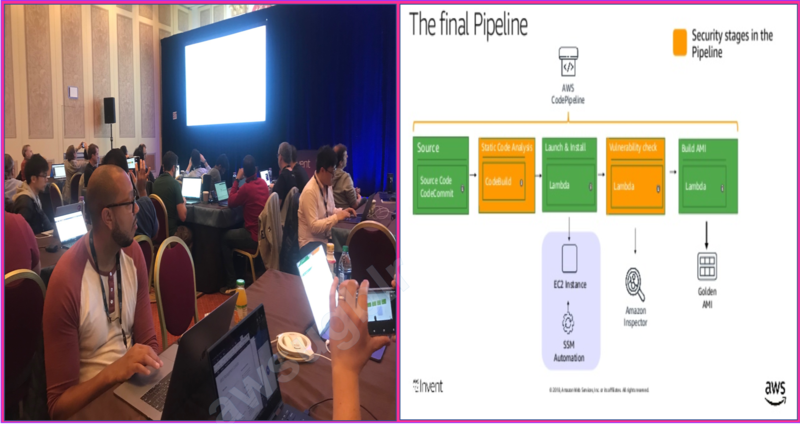 In this workshop, participants explore taking a standard CI/CD pipeline and adding security stages to improve security posture. Learn how to use AWS CodeCommit and AWS CodePipeline to build and publish golden AMI images. Also, learn how to modify pipeline flow to add security test cases. You also have an opportunity to perform CVE analysis and code analysis using Amazon Inspector and perform observational container analysis using Amazon GuardDuty. 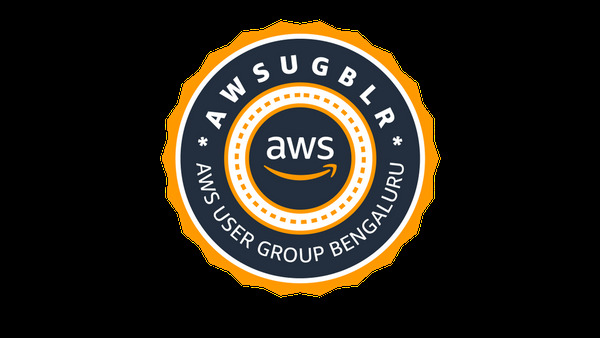 This session certainly gave me a thought of why not conduct a workshop back in AWS User Group Bengaluru?